Titan eSports wird mit sofortiger Wirkung seine Tätigkeiten einstellen. Dies gab Damien Grust, der Gründer und CEO von Titan, soeben auf der Homepage der Organisation bekannt. Für das Ende der Organisation gibt man in erster Linie finanzielle Probleme an. Das französische CS:GO Team um Richard 'shox' Papillon muss sich nun auf die Suche nach einer neuen Organisation machen. Es ist eine überraschende Meldung, aber Titan eSports stellt mit sofortiger Wirkung den Betrieb ein. Laut CEO Damien Grust habe man bereits seit längerer Zeit unter finanziellen Schwierigkeiten gelitten und es sei nicht gelungen neue Sponsoren und Investoren für das Projekt zu gewinnen. Ein harter Schlag sei auch der Cheatskandal um den damaligen Titan-Spieler Hovik 'KQLY' Tovmassian gewesen, von dem man sich nie wirklich erholen konnte. Titan zählte seit der Übernahme des Lineups von Team VeryGames im Januar 2014 zu den wichtigsten Akteuren in Counter-Strike: Global Offensive und konnte einige Erfolge verbuchen. [...] In December 2014, we had finally managed to negotiate a much greater than expected sponsorship budget for 2015. Life was good and we were close to entering the LCS through a team acquisition. The initial strategy had paid off, we had gotten it right! But then we were awoken by some pretty bad news, one of our CS:GO players was banned for cheating. This sent shivers down my spine, because it couldn’t have come at a worse moment. All the bad press that this brought and the major hit the image of an otherwise respectable brand took, was too much. Sponsors and partners with whom we were about to sign, understandably backed out of deals, not wanting to be associated with a company that had just been tarnished. Needless to say, our budget for 2015 had gone up in smoke from one day to another. From then on it was a real uphill battle and I forced myself to reinvest into Titan in order to keep the company afloat for at least one more year, believing that we could make it after all. We fought the entire year, trying to secure sponsorships that would enable us to keep a struggling, but great CS:GO team as well as our SMITE team. We also sought advice from agencies and lawyers to maybe even sell shares in the company, or merge with another one. None of these scenarios ever materialised with any of the potential partners we spoke to. What a ride this has been, eh? Launching Titan in September 2013, I had no idea how exciting this would turn out to be. We started out with a top level Malaysian Dota 2 team, who managed to clinch a top 10 placement at The International 4. Then followed Cypher, our legendary Quake player who won two DreamHacks and one QuakeCon under our banner. Then of course came our longest standing division, the French speaking CS:GO team, winning and competing in numerous prestigious events. And last but not least our SMITE team, vice-champions of SWC 2015. Such talent and such great people I had the good fortune to encounter and support. I will never forget the strength and integrity that all our boys brought to Titan in order to perpetuate what we stood for, the spirit of competition. Now why is Titan shutting down then? I began with an investment budget that was slightly on the lower side of the spectrum back in the days. The staff and myself made it count and counted every penny, in order to maximise the effectiveness of our choices. 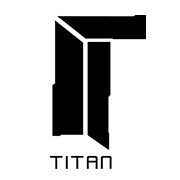 Titan grew slowly, but organically, without major financial backing or the assistance of sponsorship budgets. I was building a brand and branding was where all the money was invested into; from social media, to teams, to activations and so on. As soon as Titan had grown to a respectable size and fanbase, we started reaching out to potential sponsors. Even though the road was bumpy and we could have made smarter decisions in multiple aspects up to this point, we persevered. In December 2014, we had finally managed to negotiate a much greater than expected sponsorship budget for 2015. Life was good and we were close to entering the LCS through a team acquisition. The initial strategy had paid off, we had gotten it right! Here we are now, starting 2016 without a budget high enough to keep a CS:GO team or pay our amazing staff. How profoundly sad. This means that as of today, Titan is ceasing operations and releasing all current players and staff into this beautiful esports wilderness. Our CS:GO team will move on and hopefully find a new home worthy of their loyalty and determination. It also must be said that it was an honour to have some of the most dedicated staff members working tirelessly for us. None of this could have been done without you guys and you made me proud. Thank you to all our fans, supporters, haters, detractors, partners and opponents. We would not be Titan if it weren’t for you. From the bottom of my heart, thank you. Thank you also to all team owners, players and tournament organisers; what a privilege it was to have been able to interact with you and in some cases become close friends. Even though not everything worked out in the end, many incredible people made this all worthwhile. Yours truly will remain in esports and see what opportunities present themselves in the future. It is a crazy industry after all , who knows what might happen! "Thats what happens when you buy the most overrated player for 150k" wtf? "Thats what happens when you buy the most overrated player for 150k"
Schade das Titan nun dicht macht... sowie ich das mitbekommen habe sind paar Sponsoren damals wegen KQLY abgehauen als alles rauskam... das ist aber denke ich nicht der Hauptgrund... das CS Team von Titan wird sich nicht auflösen, Scream twitterte das es in kürze neue Infos gibt! Scream twitterte das sie wohl schon ne neue Orga haben und es in kürze infos geben wird. Da sieht man, wie ein Spieler praktisch eine Orga ruinieren kann. Sollte eigentlich strafrechtlich belangt werden. Erstmal kräftig in Sticker investiert! [quote=AemJaY]hauptsache Maniac gekickt :P[/quote] Sie konnten ihn wohl nicht mehr behalten... Maniac ist schon was großes in der Französischen Szene, nun ist er bei EnvyUs und denke ich auch da besser aufgehoben. Sie konnten ihn wohl nicht mehr behalten... Maniac ist schon was großes in der Französischen Szene, nun ist er bei EnvyUs und denke ich auch da besser aufgehoben.